YOU MUST READ AND AGREE TO THESE TERMS AND CONDITIONS PRIOR TO THE PERFORMANCE OF ANY WORK BY COMPANY. Rescission of Proposal. The proposal prepared by Company may be withdrawn by the Company if not accepted within 30 days. Credit Approval. All orders not paid in full in advance are subject to approval by the Company’s credit department. Insurance. Owner shall carry fire, extended coverage, and other necessary insurance for Owner’s property prior to performance by Company. Risk of Loss. Owner shall assume risk of loss or damage to equipment or parts after installation by Company. Warranty. The manufacturer of the part or equipment installed or delivered by Company determines all warranty matters. Any manufacturer warranty shall apply only to manufacturer defects. A valid warranty requires annual maintenance of all parts and equipment by a licensed contractor. Company is not liable, in any way, for warranty related disputes. Company, in its sole and absolute discretion, may accept or deny involvement in any warranty claim made by Owner to the manufacturer. Maintenance. Customer shall be responsible for their own air conditioner filters. Company recommends the use of pleated “merv-8” filters. Filters should be changed every 30-60 days. Coils not properly cared for may incur an additional charge by Company for cleaning. Hold Harmless. Owner shall hold harmless Company against any claim or demand, including all costs, expenses, liabilities, and attorney’s fees and costs associated therewith, whether or not well founded, arising from any water, mold and/or microbial claims related to the installation, service, and use of the parts or equipment installed or delivered by Company. Owner agrees to look first to their insurance coverage as it relates to any and all water, mold and/or microbial claims by Owner. Release. Company will perform its work with ordinary care. In consideration of the services performed by Company and as an express condition hereof, Owner expressly waives and relinquishes any and all claims against Company, except those arising from the gross negligence or willful misconduct of Company. Modifications. Due to the new Seasonal Energy Efficiency Ratio (SEER) rating change, air conditioner units now are generally larger. 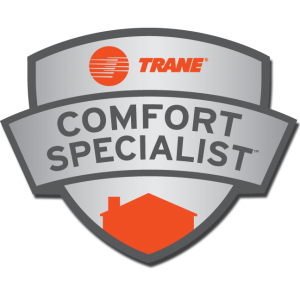 Any and all required modifications to the Owner’s home as a result to the installation of a larger air conditioner unit is at Owner’s expense, including, but not limited to, drywall, carpentry, and attic access/pull down stairs. Cancellations. Cancellations of preventative maintenance must be served in writing by Owner to Company via certified or registered U.S. mail to the address on the front of the invoice signed by Owner. All discounts and “no charge” service will be deducted from any refund due to Owner. Buyer(s) agree to pay a twenty percent (20%) administrative fee of the original cost of the policy, which fee shall be deducted from any refunds due to Owner. Cancellation of HVAC equipment or service must be in writing prior to the performance of the scheduled work. All monies owed by Owner to Company for preparatory work performed is due in full upon cancellation and shall be deducted from any refund due to Owner. All installed items and performed services are non-refundable and are due in full upon cancellation. Installed and special order items are non-refundable and shall not be cancelled for any reason. Inspections. Owner agrees to cooperate with Company and any local inspector to inspect the installed equipment. Owner agrees to provide access to the property, rooftops, attic spaces, fenced area, and any other area requested by the inspector. If inspection so requires, Owner agrees to pay Company $75.00 per hour to stand by with a ladder for rooftop inspections without a permanent attached ladder. Owner agrees to pay for inspection related expense, including but not limited to, re-inspection fees, renewal fees and labor for inspections that are failed due to a “no show”, “no ladder”, or failing to cooperate with the inspector or inspection process. Additional Costs. Company shall not be liable for any present and future taxes, charges or other governmental fees, or any items of equipment, labor or special tests recommended by Owner’s insurance carrier, equipment vendors or governmental authorities. Company Disclaimer. Changing equipment without addressing ductwork can lead to systems not working properly, resulting in premature unit failure, water damage, and microbial growth problems. Owner holds Company harmless for problems resulting from equipment changes without replacing duct system. Company and equipment manufacturers recommend to replace both air handler and condenser to assure proper compatibility. Company also recommends all new equipment to include a complete duct change out. Company highly recommends that R-410 be the primary choice in refrigerant as opposed to R-22 due to it being phased out in the near future. Authority. By agreeing to these terms and conditions, Owner agrees and acknowledges that Owner has absolute and specific authority to order the described work by Company, either for myself or the benefit of the Owner, which has been satisfactorily performed. It is agreed that Company shall retain all rights, title, and interests to any equipment, materials, goods, or products that may have been furnished until final payment is made. Payment; Default. The invoice to Owner is due upon presentation with no grace period. If the total invoice amount is not paid within ten (10) days of presentation by Company, Company may charge to Owner a default interest rate of eighteen percent (18%) per annum on the total amount of the past due invoice. In the event of non-payment, Owner agrees to allow Company on Owner’s property to remove equipment installed. Until final payment is made, Company shall retain the title to all materials equipment installed by Company. Modifications to Building Structure. Company shall not be liable for any damages incurred due to the inability of the building structure to property support the installed equipment, or for expense incurred in removing, replacing or refinishing part of the building structure necessary for the performance by Company of any service or installation, unless otherwise agreed upon in writing by Company and Owner. Hazardous Substances. Company shall not be liable for the identification, detection, abatement, encapsulation, storage, removal or transportation of any regulated or hazardous substances. Regulated or hazardous substances may include, but are not limited to, asbestos, certain refrigerants, and refrigerant oils. If any such products or materials are encountered during the course of Company’s work, Company may discontinue work until regulated or hazardous materials have been removed or hazard or liability is eliminated. Company shall receive an extension equal to the lime of delay to complete the work and reserve the right to be compensated for any loss due to a delay. Severability. In the event that a provision of these terms and conditions are held to be illegal or unenforceable, the offending provision shall be severed, with the remaining portion of this agreement continuing in full force and effect. Governing Law; Venue. These terms and conditions shall be governed by and construed in accordance with the laws of the State of Florida. Venue for any action arising out of or related to these terms and conditions shall be in Collier County, Florida. Modification. No change, modification, termination, or attempted waiver of any of the provisions of these terms and conditions shall be binding upon any party to this Agreement unless reduced to writing and signed by the party or parties against whom enforcement is sought. Damages. Owner acknowledges in no event shall Company be liable to Owner or any third party for any damages, including but not limited to any lost profits, lost savings or incidental or consequential damages arising out of Company’s performance. Force Majeure. Every attempt will be made to complete the work on the date(s) specified, but because Company may have no control over equipment availability and delivery, all completion dates are estimates only. Further, Company shall not be liable for damage, loss or delays resulting from fire, explosion, flooding, the elements, labor troubles, or any other cause beyond Company’s control. Attorney’s Fees. Owner shall be responsible for all attorney’s fees and costs incurred by Company with regard to the collection of any amounts due from Owner to Company.